Download the Backflow Device Test Report. Download the Backflow Prevention and Cross Connection Control brochure. Descargue el folleto Proteccción de Contraflujo y Control de Conexión Transversal. A cross connection exists anywhere the potable water piping system is directly or indirectly linked with a piece of equipment or piping that could possibly pollute or contaminate the potable water supply. How can a cross connection contamination event occur? Non-potable water or chemicals used in equipment can end up in the potable water system as a result of backpressure or back-siphonage. Backpressure occurs when the pressure in the equipment or system, such as a boiler or air conditioning unit, is greater than the pressure inside the potable water line. 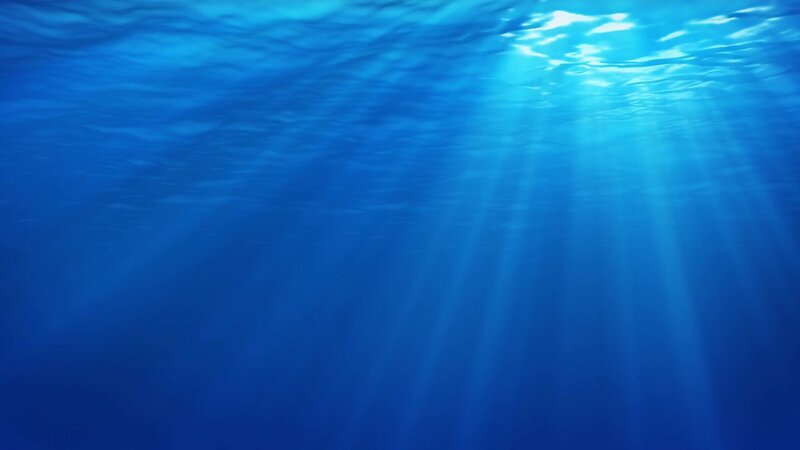 Back-siphonage can happen when the pressure in a potable water line drops due to occurrences such as main breaks, nearby firefighting or unusually heavy water demand. When the pressure drops, contaminants can be siphoned out of the non-potable system into potable water lines. Any unprotected or inadequately protected cross connection on your premises could contaminate the potable water supply for your customers, employees and even neighboring homes and businesses. Severe illnesses have resulted from cross connection contamination events that could have been easily prevented. You are responsible for all unprotected or inadequately protected cross connections on your premises and liable for any damages or illnesses they may cause. In cases where business owners have been proven at fault for cross connection contamination events, judges and juries have awarded plaintiffs substantial monetary damages. What is my responsibility as a business owner? Each cross connection must be eliminated or properly protected by an approved backflow preventer. All work done on the internal plumbing system of your facility must be performed by a state-licensed plumber. Any changes to your plumbing must be approved by your local plumbing inspector. To fill out the Backflow Device Test Report, download the form below. What does the law say about cross connections? Install an approved backflow prevention device if there is an existing or potential cross connection. All testable backflow prevention devices are required to be tested at installation or repair, then annually by a certified backflow testing company. The owner will be given a copy of the approved test results and is responsible for the submittal of all required forms to the Service Authority’s Cross Connection Coordinator. All devices that fail testing or are otherwise non-compliant must be repaired or replaced and then retested. What is the cost of providing adequate cross connection protection in a business? The typical cost of a backflow preventer will vary in price depending on the size and type of assembly required. 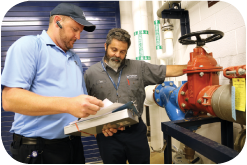 Since a backflow preventer may be the only barrier between your customers and contaminated water, investing in, installing and keeping the equipment maintained is minimal compared to the potential liability of a backflow incident. 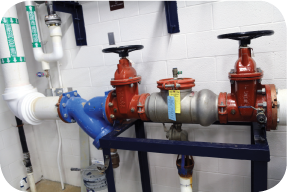 What is the Service Authority’s role in backflow prevention? The Service Authority is responsible for maintaining records on testable backflow prevention devices connected to the public water distribution system, enforcing state laws regarding proper installation/maintenance and sending out annual notices to property owners/responsible parties with testable backflow devices due for re-certification.